Emerald Creek Dares: Happy Anniversary PT1 - Super Hero Style! It's been 1 whole year since I started Social Media, blogging, and actually getting into the trade show circuit. All of you have been really the absolute best part of my experience. The love, support, sharing, participating, and everything in between has been the highlight and delight of this whole experience. 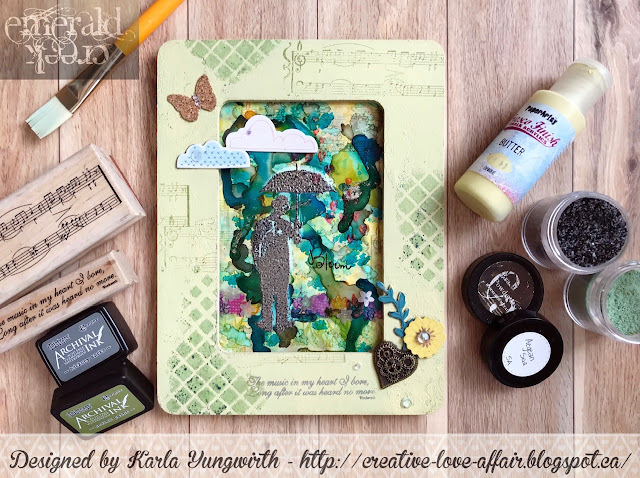 For those of you who don't know, I launched my very first DT inspired works and blog post with the theme of the 80's because that was the theme of my first retail show, the Great Canadian Scrapbook Carnival hosted by Creative Scrapbooker Magazine (Canadian Scrapbooker back then) and Creative Stitches. A sneak peak at the new 'Bat Charm'. Since then we have had 22 Winners (including today's), several fabulous Guest Designers, and so many bumps, bruise, successes, and tears. Thank you for sharing this journey with us. 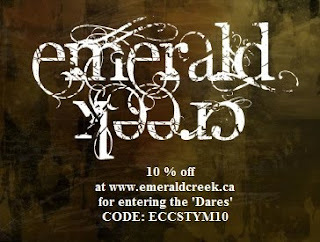 We are changing up the Emerald Creek Dares Blog challenges and moving to 1 $50.00 winner per month. In addition to that, the Top 3 will be given each be given a Special 20% Discount code towards shop purchases and like always, everyone who plays in the challenge will always have the opportunity to save 10%! 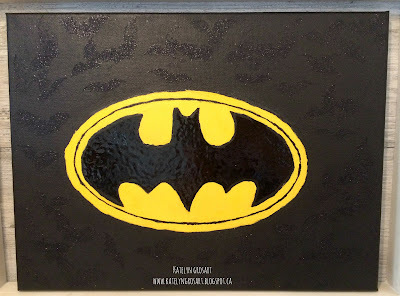 Today, we have the first members of the team sharing their projects and leading the group Super Hero Style as we participate in the Great Canadian Scrapbook Carnival throughout September. I can't even express how excited I am about these projects! I jump up and down and I talk about them all the time. Some of these will be on display at the different trade shows in Alberta and at CHA so if the opportunity arises, don't miss seeing them first hand. Who doesn't love super heroes?! My husband and son (and me too) enjoy all the fun and action packed movies (we especially liked Ant Man!). 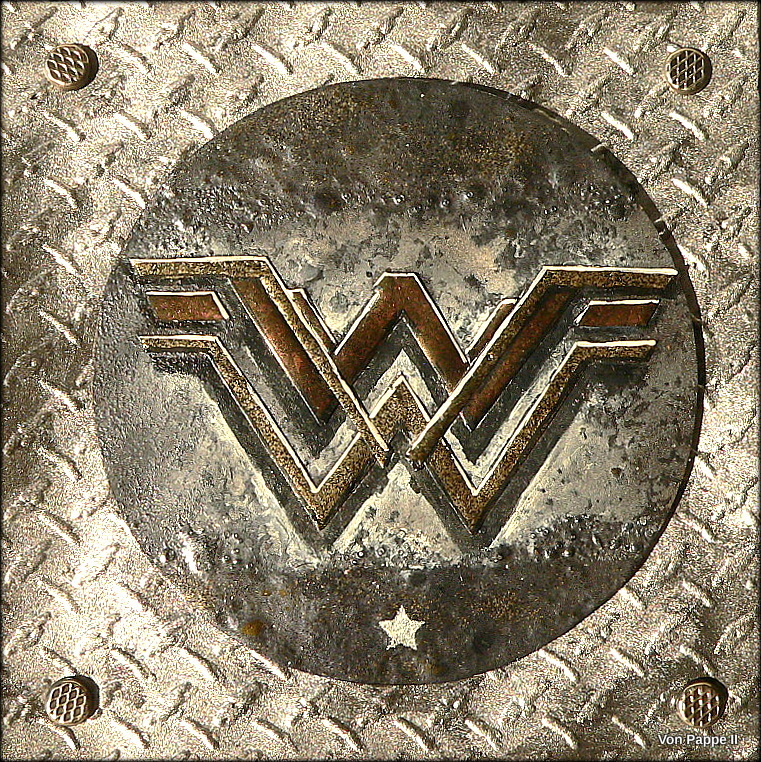 And I just love the new logo for the upcoming Wonder Woman movie (finally a female super hero hitting the screens! Yay! ), so I decided to use some of Emerald Creek's fab embossing powders to recreate and use it on a card. This one was a bit of a challenge for me, but once I had an idea, the project came together quite easily! I love watching all of the superhero movies and learning about the characters, but I also love real-life heroes. 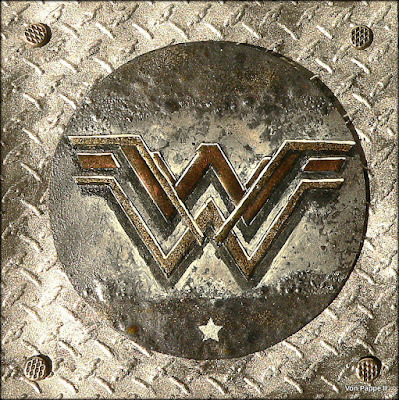 I wanted to combine these two ideas in my project and the result is a scrapbook page comparing my mom to Wonder Woman! It really isn't much of a stretch! I hope you can check out my process video for this layout. It's all about Super Heroes for this Emerald Creek Dares and this was definitely a challenge for me. 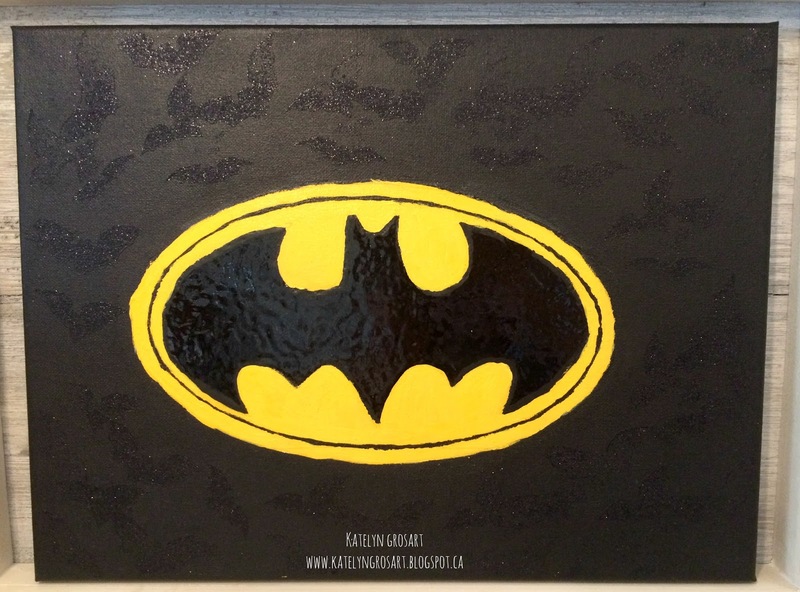 When I was surfing the Emerald Creek Craft Supplies shop, I came across a fabulous bat image and I knew exactly what I would create, a batman inspired canvas. I would love for you to stop by my blog so you can see how I created it. Show us your Super Hero!! Meet Charm Chick....the Super Hero you know we all need when we are trying to get that project done! She's got all the Emerald Creek metal you'll ever need. Sweet Fades Dare with her Windmill entry. Freddy, please email Kim at info@emeraldcreek.ca for your $25.00 prize code. To enter this month's Super Hero Dare, use the InLinkz below. Remember to follow the challenge rules as posted on the right sidebar of the blog, in order to be eligible. DT...amazing Super Hero projects! Congrats to Freddy on winning the Sweet Fades challenge!! PS I love those new bat charms and huge congratulations on your anniversary! Here's to many more! Thank you so much Cassandra :-). I am still pinching myself!! Wow what an honour to win this challenge! I can't wait to participate in another one. Thank you everybody for your kind words. The DT is such an inspiration! What awesome inspiration from the DT!! The projects are fabulous!! Thanks for another fun challenge!! Great projects ladies!! Love the bat charms too!